This may be as hard to believe as a doll come to life, but Bride of Chucky is one of the best horror films of the 1990s. Gory, trashy, funny, and truly entertaining, the film pays homage to the entire genre, is a send-up of its own predecessors, and plays out like a wild & witty remake of Bride of Frankenstein. And after the surprisingly dreary Child's Play 3 and a seven-year hiatus, it's good to see the ol' Chuckster cleans up real good. It seems as though Don Mancini (the writer of every Child's Play entry) knew that in the post-Scream environment of late-nineties horror, a strict resurrection of Chucky's malevolent ways would be ludicrous. Instead, he's written a smart, biting comedy of errors. Director Ronny Yu definitely seems “in” on the joke: sidestepping typical attempts at fright and humor, Bride of Chucky enters the same comic horror pantheon as Evil Dead and Fright Night. The Farrelly brothers would be proud of its gross-out sensibilities and over-the-top slapstick. The perfectly cast Jennifer Tilly plays Tiffany, the distraught girlfriend of Charles Lee Ray (the serial killer whose soul lives inside the Chucky doll). At the film’s outset, Tiffany hires a scummy cop to steal Chucky’s remains from an evidence locker. After a few staples, thread, and an ancient voodoo ritual, Tiffany’s plastic-bound boyfriend is back to his old tricks. His first order of business: mercilessly slaughtering Tiffany’s flirty friend (character actor Alexis Arquette). Jennifer Tilly gets a good look at her new toy in Bride of Chucky. The twisted plot develops from there. After Tiffany spurns Chucky, the killer creature takes revenge by transporting her soul into the body of another doll. Our twisted duo is then forced to steal an ancient amulet in order to permanently transfer their souls into unsuspecting humans. Cue said unsuspecting humans: the dolls trick Tiffany’s cute-as-a-button neighbor and his stock character fiancé into transporting them cross country for the ritual. The acting in the film is deliberately hammy. Most all the participants seem perfectly aware of the film’s camp aspirations; and they certainly run with it. Tilly’s live action Tiffany is a noir temptress with a heart, and the actress somehow manages to find balance in a role that most performers would dumb down or make caustic. As evident in Woody Allen’s Bullets Over Broadway and cemented with this performance, Tilly’s comic abilities are nothing to sneeze at. And her voice talents are a perfect match for Brad Dourif’s time-tested flair performing Chucky’s obscene grouching. Heigl misses the mark a few times (her bouts of teary screaming grow tiresome) but overall wears her camp queen status well. Nick Stabile, on the other hand, plays it too straight. His acting style doesn’t suit the material nor does it match the rest of the cast’s attempts at camp. It’s no wonder he’s now making his living in daytime drama. John Ritter turns up as an overbearing cop, and his comic timing is sharper than ever. He steals every scene where he appears. The founding aspect of the film’s success is its snappy dialogue. Not only does it provide the actors with clever things to say (“If this were a movie, it would take three or four sequels to do it justice” and “I'd kill anybody, but I'd only sleep with the man I love”), but for a film that depends primarily on the voice talents of its two leads (unlike its predecessors, the dolls are shoved to the forefront of this picture), it is an absolute vital element. There is very little “it’s only a horror movie” writing here. For all you gore nuts out there, the kills in Bride come fast and hard. Not only are they gory and more than often shocking, some of them play as visual gags and reference both classic and modern horror films. It’s a delight to see violence that isn’t simply goretastic, but also speaks to the seasoned horror viewer. It’s also fun for a film to revel in some sick and twisted material. And let us join in without feeling bad about it. That’s what horror should be about: gut participation, sans guilt. Unfortunately, Bride isn’t completely without its share of faults. Some of the self-referential dialogue and jokes are so heavy as to practically beat the viewer over the head. 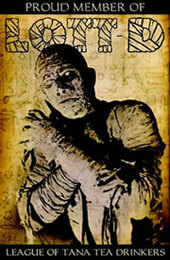 More importantly, the film isn’t scary. It’s a smarter than average treat, and quite gut-busting at times, but lost in the transition from the prior films of the series is any sort of suspense. It’s a shame, because by giving us more Chucky, we’re desensitized to his actions. 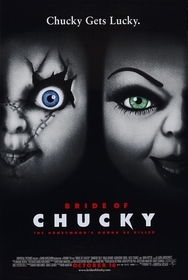 But don’t let my cinematic nitpicking discourage you, as Bride of Chucky is a rare treat for both casual and veteran horror buffs. 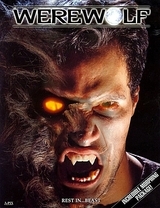 It’s got great performances, killer dialogue, and it looks like it cost about six times its actual budget to produce. If you’re a fan of self-referential horror flicks like Scream, but would prefer a film with a little more spice and a lot more edge, look no further. The police department in this film is really good at busting cinematic serial killers. Their evidence room includes such incriminating props as Freddy Krueger's glove, Leatherface's chainsaw, and the masks of Jason Voorhees and Michael Myers.